The Internet of Things can help you improve business efficiency, control intelligence from a wide range of equipment, enhance operations, and increase customer satisfaction. This Lopez Research Brief outlines the business benefits of the IoT and explains the steps to get started. 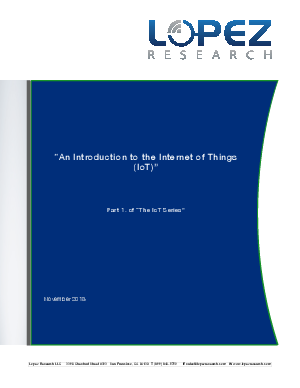 Download the brief to see how you can take advantage of these IoT opportunities.